We welcome this opportunity to present a joint submission on The Supplementary Order Paper – Human Assisted Reproductive Technology Bill 2003. The New Zealand Catholic Bishops Conference speaks on behalf of the Catholic Church in New Zealand. 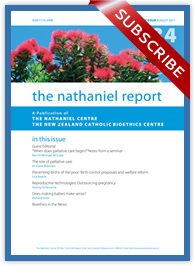 The Nathaniel Centre – The New Zealand Catholic Bioethics Centre is an agency of the Bishops Conference. Its role is to address bioethical and biotechnology issues on behalf of the Catholic Church in New Zealand. 1. Developments in the field of reproductive technologies, and the opportunities derived from them, raise deep and important questions about the beginning of life. 2. From the moment of fertilisation an embryo "is already the human being it will always be and will only grow in size and complexity." In other words, there is no threshold that embryos cross to become human – there is rather a continuity to human existence. This belief lies at the heart of Catholic attitudes and responses to the use of artificial human reproductive technologies. 3. In acknowledging that a new human life begins at fertilisation we are also committing ourselves to providing for that unique individual the same safeguards and rights which furnish a necessary shelter within which we can develop our full human potential. 4. The Catholic Church believes that the use of assisted reproductive technology is only acceptable between a husband and a wife in very specific circumstances which assist the natural processes of reproduction and do not pose undue risks for parent or child. Meeting the needs of couples who are infertile is by itself not sufficient as a criterion for evaluating the use of particular technologies. 5. Technology is morally neutral. We recognise and welcome the remarkable advances in science and technology that contribute to improving the welfare of humanity and the world in which we live. Failure to embrace such developments, both now and in the future, would represent a moral failure in terms of our responsibility and stewardship for current society and for generations to come. At the same time, many of the developments have the potential for adverse effects - for society as a whole, as well as for individuals and certain groups of individuals. 6. A proper assessment of the uses of reproductive technology goes beyond "physical" risks and includes a consideration of the ethical, cultural, social and spiritual dimensions of our human nature. 7. We are particularly concerned about a trend within New Zealand to focus ethical debate only on the question of whether free and informed consent has been given. An over emphasis on the importance of consent, together with an over emphasis on the rights of adults, can mean that deeper ethical considerations are left unaddressed. 8. Our society is characterised by religious and moral pluralism. In order to bring together the various voices in the debate on human reproduction, a framework is required that offers stable reference points that can be accepted by all, independent of any particular faith or religious perspective. 9. We believe that, in addition to the purposes listed, it should be a stated intention of the HART Bill to establish the mechanisms for ensuring that appropriate public discussion and consultation are held with respect to guidelines relating to new issues. 10. We commend the use of principles in the Supplementary Order Paper (SOP) as helping to establish an essential framework for decision making in the area of human assisted reproductive technologies. We make the following observations concerning the SOP principles. 4(c) " ... to make an informed choice to submit or to refuse to submit to the procedure or the research ..." The use of the word "submit" suggests coercion and paternalism. This is unhelpful. 4(d) "Donor offspring should be made aware of the genetic origins ..." Knowledge of genetic origins is an entitlement and not an option. We support the intent of the proposed legislation for clear records to be kept. a) Respect for the Intrinsic Dignity of Human Life. By the term "intrinsic" we mean rights that exist quite apart from, and unrelated to, the circumstances of an individual's conception and birth or their ability to function. b) Promotion of Human Health and Safety. 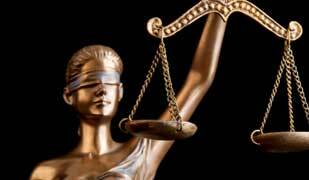 This principle is very often described in terms of the bioethical principles of beneficence and nonmaleficence. Beneficence highlights the positive obligation we have to advance the healthcare interests and welfare of others. The principle of nonmaleficence imposes the obligation not to harm a person or persons intentionally or directly. c) Protection of the Vulnerable. This calls for a recognition of those whose rights may be infringed or who may be exploited, especially those who cannot defend or speak for themselves. d) Balancing of Individual and Collective Interests. The notion that the common good of society will place restrictions on the pursuit of individual choices is a general principle that applies to the area of human reproduction as much as to other areas of society. This involves consideration of, and due respect for, the ethical, spiritual and cultural perspectives of Maori as well as all other groups. e) The Non-commercialisation of Human Reproduction. 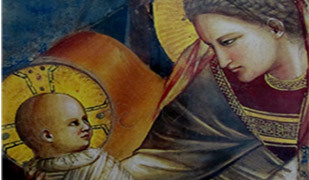 The starting point for Catholic-Christian discussions about human reproduction is the traditional, hallowed, philosophical and religious understanding of life as a sacred gift; ultimately a gift from God but also a testimony of the generous giving of spouses. The metaphor of life as "gift" proscribes any commercialisation of human reproduction. f) Acceptance of Human and Material Limits. This principle highlights the challenge of balancing access to services with responsible stewardship of goods and services. 13. Taken together with those set out in the SOP, we believe that these principles form a framework that will ensure the dignity and well being of human life are upheld, and the rights of individuals and the common good of society are balanced in a just and equitable way. 14. We note and strongly support the principle that all persons exercising powers or performing functions under the Act should hold the health and well-being of children born as a result of the performance of an assisted reproductive procedure to be paramount in all decisions. 15. The test of commitment to these principles is whether they can be translated into effective procedures, guaranteed under the Act, that ensure the ethical, spiritual, and cultural dimensions will be properly considered and respected. We see this as occurring, among other ways, through widespread and ongoing public consultation on key issues. 16. With respect to Schedule 1, we support all of the prohibitions set out in the SOP. i. Human cloning for reproductive purposes (producing children genetically identical to the cell donor). 17. We note with extreme concern that the proposed legislation would allow research on so-called "spare" embryos from IVF procedures and that it would also allow the creation of embryos for purposes of research (either by way of IVF or by way of "therapeutic cloning"). This is inconsistent with the principle of preserving and promoting human dignity as stated in section 4(b) of the SOP. 18. We strongly contend that germline genetic alteration needs to be included as a prohibited activity. The best opinions on this matter point to the fact that germ-line genetic alteration is both unsafe and impractical at this time, as well as having unknown consequences for subsequent generations. We acknowledge that the intention of germ-line genetic alteration is to affect patterns of genetically based diseases. However, we believe that the burden of proof regarding safety of such practices needs to remain with those who would advocate the use of such practices. We believe that such practices need to remain prohibited for the foreseeable future, that is, prohibited through legislation rather than being left at the discretion of any advisory body. 20. Without condoning the practice of IVF, we wish to limit the harm caused by the creation of embryos that will never be implanted. 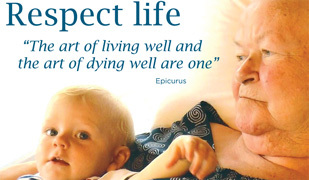 Whatever the circumstances of its genesis all embryos are to be treated with absolute dignity and respect. Commitment to the intrinsic dignity of the embryo proscribes all activities on embryos already formed via IVF, other than for the purpose of implantation within the womb of its mother. The 14-day period is unnecessarily long for the purposes of fertility treatment and appears to be concerned with making provision for research and experimentation on embryos. As stated previously, this should be prohibited. 21. The purchase, barter or exchange of human gametes and embryos is contrary to the principle of intrinsic human dignity. We support the prohibition of, and the proposed penalties for, the giving or receiving of valuable consideration for the supply of an embryo or human gametes. 22. We wish to state our opposition to all forms of surrogacy. We believe that the overall well-being of children is compromised when they become subject to any arrangements under which a woman agrees to become pregnant for the purpose of surrendering custody of a child to be born. We also believe that the practice of surrogacy can place the health and welfare of women at risk. We support the move that would seek to keep surrogacy arrangements from being made enforceable. 23. Within assisted human reproductive technologies there is a significant risk of the commodification of children and the reproductive capacities of women and men. The exploitation of children, women and men for commercial ends is an affront to the intrinsic dignity of persons, and therefore we welcome the prohibition of commercial surrogacy. In addition, the commercialisation of such activities is contrary to the well-established and accepted New Zealand practice whereby human organs and tissues are not sold or purchased and adoption is non-commercial. 24. An over emphasis on the sufficiency of individual informed consent, as has been exemplified by a number of commentators with respect to recent debates in the bioethical area, reflects a failure to acknowledge the wider impact of technological interventions. This, in turn, often reflects a view of the human person that fails to properly acknowledge our inter-connectedness and the impact of our individual decisions on others. It is vital that as a society we take into account the effect of reproductive technologies on core societal values and the common good, including their potential to redefine certain fundamental under-standings around parenting and children. 25. One of the less talked about implications of the use of assisted reproductive procedures is their potential to redefine our fundamental understandings of parenthood, children and our acceptance of human diversity. Consequently, decisions around the use of reproductive technologies are too important to be left entirely in the hands of individuals or couples without broader societal oversight and accountability. The proposed requirement that assisted reproductive procedures and human reproductive research must gain the approval of an appropriate ethics committee, reflects the implications which these issues have for the community as a whole, and of the need for limits. We strongly reject the view that the involvement of ethics committees in people's decisions to use assisted reproductive procedures represents an intrusion into the lives of adults. 26. To meet international guidelines for research and practice, it is imperative that ethics committees must be "independent" of any undue political interference. The proposed legislation gives too much power to the Minister to appoint, designate, and terminate. 27. We support the establishment of an advisory committee. To avoid it being a minimal response in the implementation of reproductive technologies, this committee needs to be well resourced in order to carry out what is needed in the timeframe that the technology will force upon it. 28. In line with the principle of considering and respecting the different ethical, spiritual and cultural perspectives, we consider subsection (4) to be deficient in as much as it does not make direct provision for one or more members with expertise of a "spiritual" nature. Broad-based representation on the Ministerial Advisory Committee is essential and should include people with cultural and spiritual and ethical backgrounds. In its current form we do not believe that the legislation will achieve its stated aim of considering and respecting the different ethical, spiritual, and cultural perspectives in society. 29. With regard to the makeup of the Ministerial Advisory Committee we recognise the need for specialised knowledge in assisted reproductive procedures and human reproductive research. Nevertheless, there is the potential in the committee makeup for provider and researcher capture. The makeup of the committee must avoid any conflict of interest. We note that the National Ethics Committee on Assisted Human Reproduction (NECAHR) have made provision to appoint a specialist to advise, when necessary, on technical matters relating to assisted reproductive technology. This person does not take part in any decision making. a) Is independent of any organisation or group of individuals that stand to benefit financially or in any other way from reproductive procedures/treatments or research. b) Is broad-based in its make-up and includes representatives from the churches. c) Is willing to balance the scientific imperative that holds that research must always proceed as quickly as possible. d) Sufficiently recognises and takes into proper account the fact that risks and harms associated with assisted reproductive technologies apply as much to the "human spirit" (our ethical, cultural, social and spiritual dimensions) as to our physical well-being. e) Will be subject to transparent accountability mechanisms. 31. We wish to point out that there is an ethically relevant distinction between embryo donation to infertile couples and the donation of "spare" embryos for purposes of research. The proposed legislation, in its current form, does not make this differentiation. These two quite different types of activities need to be clearly differentiated within the act itself. 32. Embryo selection is unacceptable because it implicitly and explicitly devalues life that is already weak and marginalised. Allowing embryo selection for any reasons, including those related to the health of the child to be born may actually open the way to significant pressure for eugenic or discriminatory activity. Persons with disabilities are a particularly vulnerable group who need protection. We note that very often their vulnerability derives from socially constructed perceptions of "normality" which rest on a shallow understanding of humanity. Persons with disabilities can lead full and satisfying lives and enrich the lives of those around them. 33. We are extremely concerned that there is no obligation by the advisory committee to consult with the wider public, other than when it sees fit to consult, and only then with whom it sees fit to consult. This is inconsistent with what is happening in the environmental area. Given that the committee is charged with providing specific advice and issuing guidelines on matters relating to any kind of assisted reproductive procedures and human reproductive research, we believe that wide public debate and input is essential. The need for wide public consultation on issues in which the whole community has a stake must be an integral part of the legislation. It is unacceptable that the need to consult be left to the discretion of the advisory committee or the Minister. 34. The principle that we have a right to know our lineage or genetic heritage, and the requirement that the health and well-being of children be paramount, requires that legislation provide for the sharing of information between all those involved in any form of assisted reproduction. Where there is a conflict between the privacy rights of a donor and the rights of a resulting child to know its heritage, the rights of the child should prevail. 35. As a result of assisted reproductive technologies, a child may have as many as five "parents". Without condoning the practice, we believe that it is the right of children who are born by way of assisted reproductive procedures involving donor gametes to have access to full information about their origins. We note that the proposed legislation does not require donor offspring to be told about the circumstances of their conception, and accepts that the child's family may - or may not - share information at any stage. This right should not be at the discretion of parents. Research into the effects of adoption on children has taught us the negative effects of a system that is less than totally open from a child's earliest years on. In its current form this part of the SOP clearly falls short of the stated aim to uphold as paramount the principle that actions be guided by what is best for the child. 36. The desirability of research, or its intended outcome, is not a sufficient determinant of what is ethical. This principle, often expressed in terms of the maxim 'the end does not justify the means', has been consistently upheld in our society. Lack of regard for this maxim has resulted in well documented abuse of human rights. 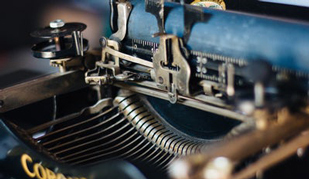 We believe that the notion that research must proceed as quickly as possible must be challenged because such research may reflect values that are not balanced by ethical, cultural and spiritual concerns.